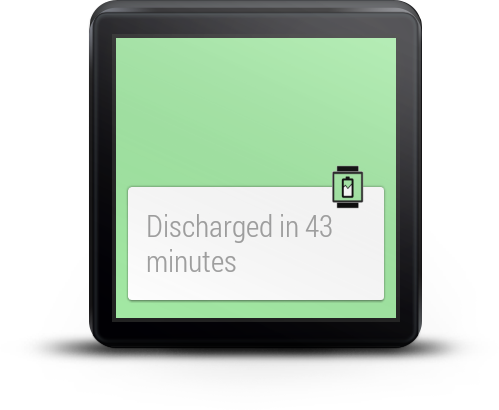 Android includes tools to follow the state of your battery, but not Android Wear. Seems like an oversight on Google's part, but developers are trying to fill in the gaps. The first such app showed up just recently, but now there's a new Wear battery tracker from the developer of the fantastic Wear Mini Launcher. 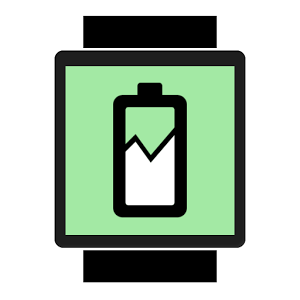 Wear Battery Stats can be used on the phone or watch to see how the battery has been doing and identify potential issues. 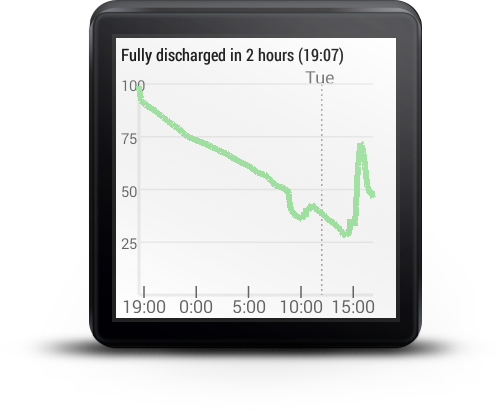 The app on the phone side includes a graph of battery use over time, along with a projection of remaining time. Below the main graph is a horizontal bar that tells you about the screen state over time (on, off, and dozing). 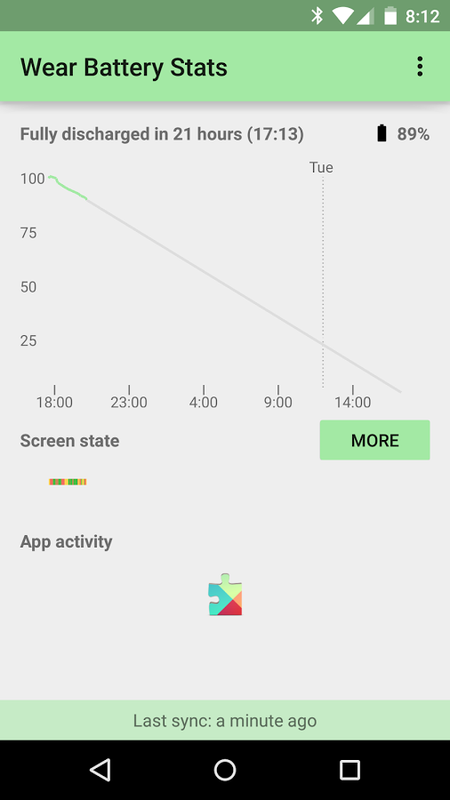 If battery life is taking a dive, Wear Battery Stats can show you when each app has been updated or installed. so maybe you'll be able to find some correlation. 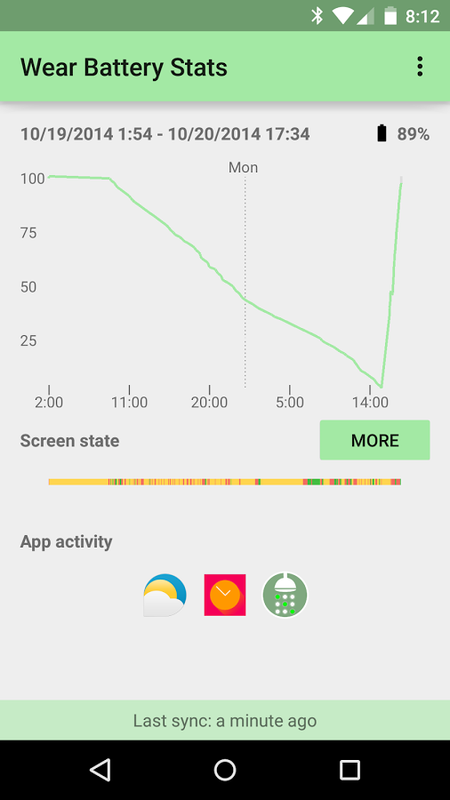 The watch app is more simplified, but still offers some relevant data. 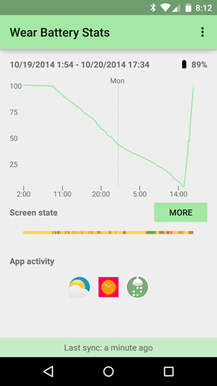 Most of the features are free in Wear Battery Stats. It has customizable alerts of battery percent, but to get the estimated time remaining alert you need to pay something—anything, really. Any amount between $0.99 and $9.99 unlocks the full version. 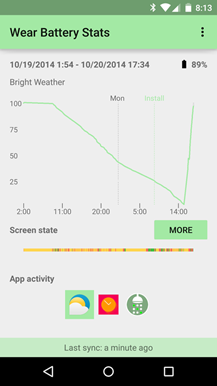 This also offers access to more battery data history. Wear Battery Stats is so far the leader in this category (by my admittedly hasty estimation), so take a look.